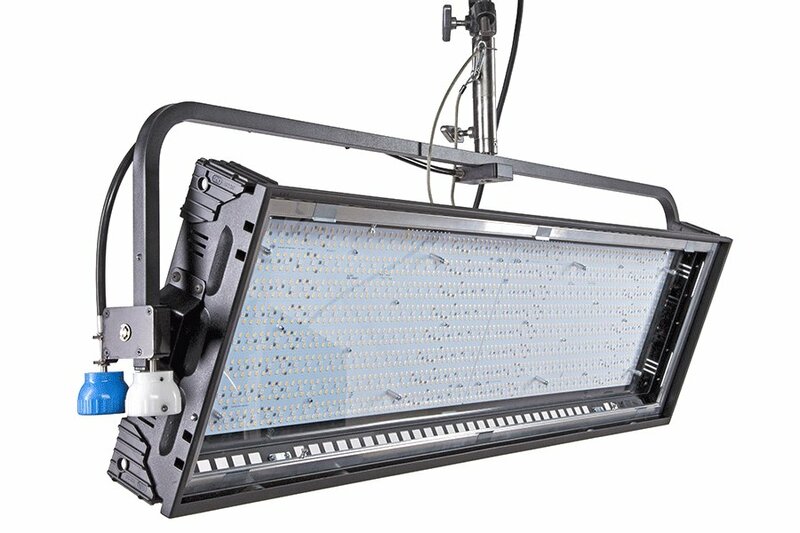 Kino Flo Lighting Systems’ renowned Image 40 fixture series served for decades as the leading soft source for cinema, television and video production studios. Its success serves as the foundation for the new Image L40 LED fixture, a narrow profile, shallow depth panel exquisitely suited to lighting small to medium-size greenscreen stages, as well as talent lighting on television news and video broadcast sets. Kino Flo’s Image L40 LED has already made its mark as a value priced studio light that packs a 1K equivalent output and comes complete with Kino Flo’s True Match® 3.0 firmware to control superior white light (>96 PRI/98 TLCI) and a full hue and saturation gamut.